Provide a link to a blog post about the conference. 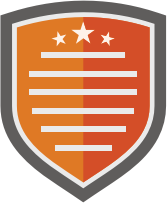 Share reflections as well as multimedia, resources, and ideas gleaned from the conference. 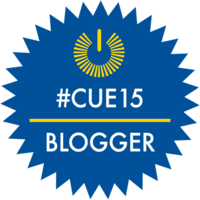 Short post about #CUE15 and how the CUE annual conference is my favorite. I have decided that, rather than follow my usual modis operandi [i.e. make myself crazy] and attempt to complete all the #youredustory prompts that I have missed, I am going to try something new. I am going to follow Elsa's advice and . 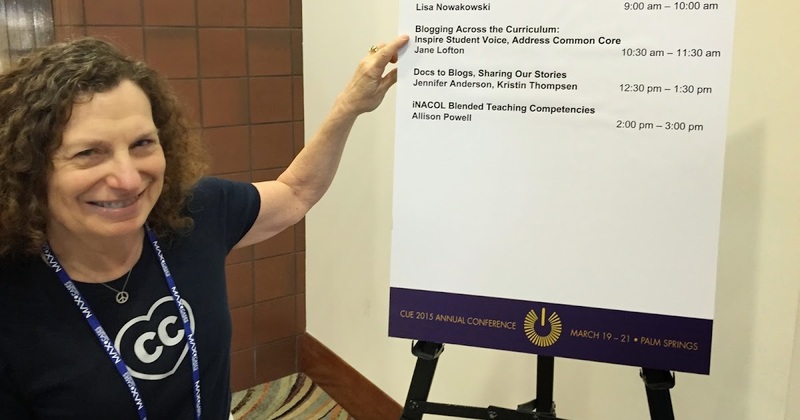 Jane Lofton's Adventures in School Libraryland: The #CUE15 Conference - Awesome! I got home just 23 hours ago from the CUE 2015 Conference in Palm Springs. I believe it was the best CUE conference yet of the seven I have attended. I: Co-presented one session with Gail Desler on "Can I Use That? Fair Use for the Remix Generation.